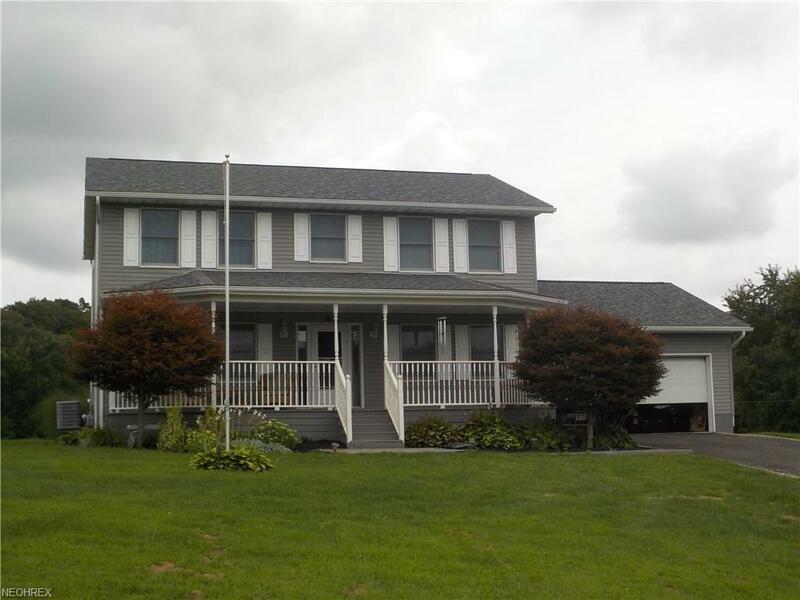 West Of Zanesville in Hopewell Township Is the Location for This 2 Story4 Bedroom, 2.5 Baths, 5 car Garages ( 2 Car Attached & 3 Car Detached ) , Picturesque 6 Acres includes Stocked Pond with Dock, in Park Like Setting in the Peace and Quite of the Country. Home Has Front and Rear covered Porches, Brick Side walks in Front and Rear. 1st Floor Bedroom, Ceramic Tile Floors in Entry, Kitchen, Dining Room and All Baths, Formal Living Room, Recreation Room, Family Room, Spacious Master with 11' x 5'4" Master Closet. All 3 Baths have Corian Counter Tops, Second Floor has Unique Study or Sitting room Area, Some Of the updates are Roof, Entry Doors Including the Sliders, Covered Rear Porch, Brick Sidewalks, Dock and Walking Bridge at the Pond, Laminate Flooring, Corian Counter Tops in Baths Flooring, Air Conditioning Unit, Kitchen Sink, All New Interior Paint, Some Lighting, Fans and the Kitchen Sink, Partial Driveway Paving. The over all Design of this Home maximizes use of the Square Footage with a Great Balance in Room Sizes, That Combined with the Rare Setting all in Great Condition In a Location that is convenient to Interstate Access Completes this Get-A-Way Home.